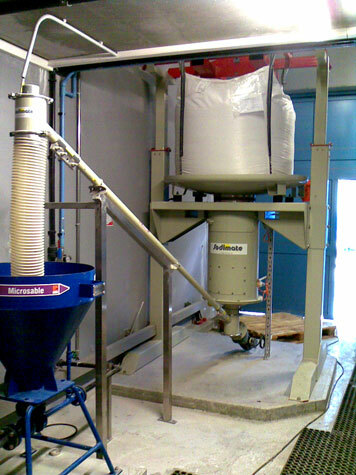 Glass : Sodimate’s storage, discharge and feed system can be used to handle silica sand for the production of various glasses and industrial castings. A typical handling system includes a storage container (silo, hopper or big bag), a mechanical discharger, and a screw feeder and conveyor. The systems can be fully customized for different storage needs, feed rates and the required number of injection points. Sodimate systems can also be used to treat air pollution emissions created in the manufacturing process, including sulfur oxides (SOX), nitrogen oxides (NOX), and heavy metals such as arsenic and lead. 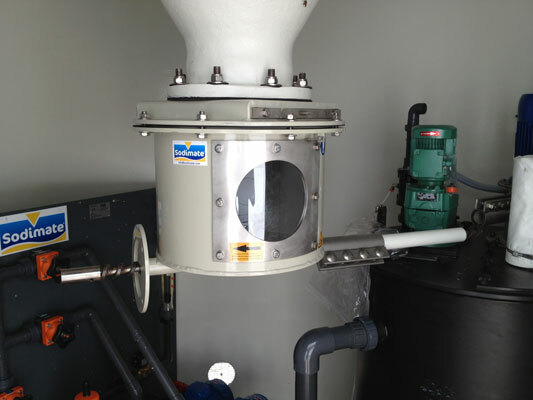 Two of the most commonly used reagents for treating the emissions, hydrated lime and soda ash, are easily handled by Sodimate’s dry sorbent injection systems.